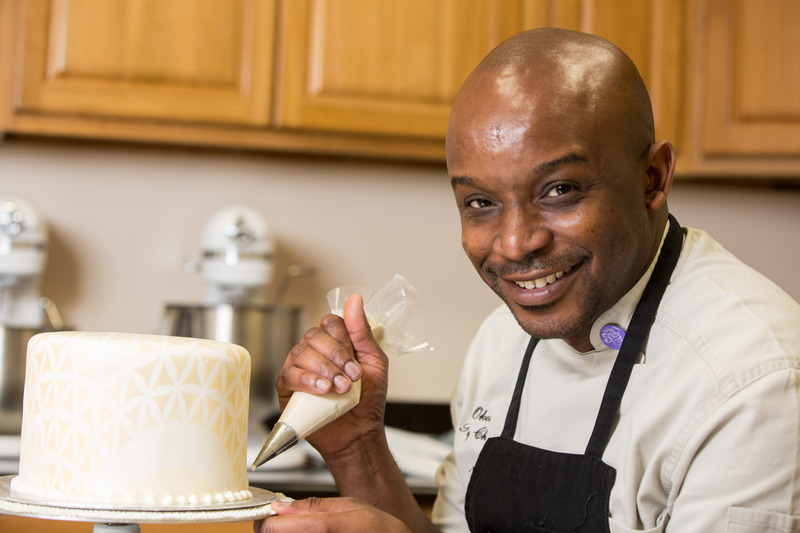 Hi, my name is Edet Okon and I am a pastry chef who primarily focuses on the contemporary design and construction of special occasion cakes. I am originally from the West African country of Nigeria although I currently reside in Houston, Texas. I attended the University of Jos, Nigeria where I earned my Bachelor of Science degree in Economics. During my time at the University of Jos, I ran my own special occasion cake business and with the help and support of family and friends was able to develop a good clientele base. I had the rare opportunity of baking the inaugural cake for the then president of Nigeria. I also served as the state representative for the Nigerian Sugar Craft Guild and the International Cake Exploration Society in Jos. In my pursuit to learn more about the pastry arts, I attended the Culinary Institute of America in Hyde Park New York where I focused on the baking and pastry arts. I also attended the University of Houston where I earned a Master’s degree in Hospitality Management from the Conrad N. Hilton College of Hotel and Restaurant Management. I hold a gold medal from the American Culinary Federation (ACF) in the professional wedding cake category and have also been featured as a competitor on the highly rated TV show “Food Network Challenge”.